Stranger Things 2: Who Are Eleven's Real Parents? The identity of Eleven's real mother was revealed in season two, but what about her dad? A huge part of the second season revolves around the true identity of Eleven. We learn a huge amount about the backstory of El, including her real name and finally got confirmation on who her real mum is but things are still a little sketchy when it comes to her dad. Shall we dive in? 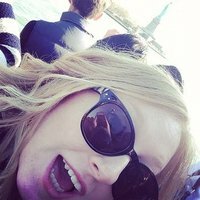 In season one, we learn a little bit about a woman called Terry Ives. Terry was one of the test subjects for MKUltra, a scientific test programme run by Dr Brenner (Papa). During the test, Terry found out she was pregnant. She gave birth and later went on to claim that the lab had kidnapped her baby at birth and had the hospital declare it a miscarriage. 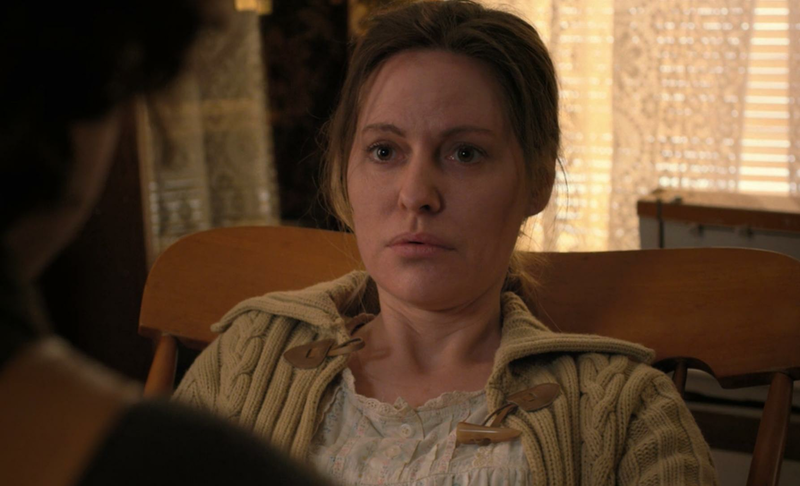 It’s sort of implied by Hopper and Joyce when they visit Terry that the girl who escaped from the Department of Energy could be her missing daughter Jane. In season two, Eleven finds out about her mother and her real name after finding a bunch of files in Hopper’s secret basement. She then uses her powers to connect with her mother and locate her. Once she arrives she finds her mother in a comatose state but realises that she can communicate with her using her powers. Eleven is able to see Terry’s memories. She sees her give birth, and then watches as Brenner immediately takes the baby. After several failed attempts to convince the courts that they kidnapped her child, Terry returns to the lab with a gun. She finds Jane in the ‘rainbow room’ (with Kali) but is captured by guards before she can grab her. She’s then taken to an operating room where Brenner and another man jolt her with 450 volts of electricity… through her head. It’s assumed that the procedure destroys her memory of the abduction and sends her into the comatose state we see her in. Basically, the whole thing confirms that Terry is Eleven’s real mother but what about her dad? The true identity of Eleven’s dad remains a mystery but the second season did hint a little further about who he actually is. There’s speculation that Dr Brenner actually slept with Terry in the test study and fathered the child that went on to become one of the lab children with kinetic powers. Considering Terry has no idea how or when she became pregnant while she in the trial, it’s still a fairly plausible theory. If Terry had honed powers like Eleven (which we assume she did because she seemed to suffer from the same nosebleed as Eleven and Eight right after letting El watch her memories), Brenner could have got her pregnant to see if these super human beings can be reproduced naturally. 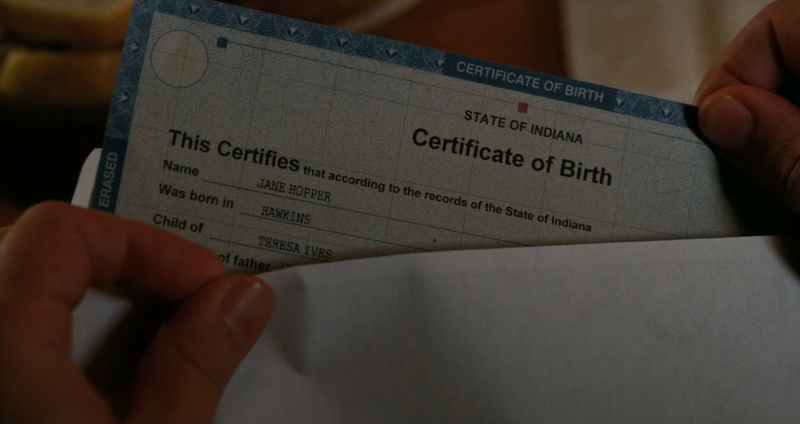 At the end of season two, however, we see Dr Owens hand Hopper an envelope with Eleven’s brand new birth certificate where her name is listed as ‘Jane Hopper’. It conveniently doesn’t display who her father is though… but considering Hopper is now her legal parent, that document should in theory bare his name. We guess we'll leave that big reveal for season three.